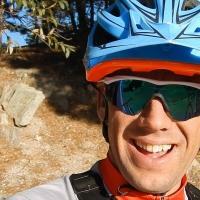 Forums › Mountain Bike Forum › Anyone prefer to wear a road helmet for MTB? I used to do this many years ago because at the time, I found road bike helmets were often lighter and more sleek than similarly-priced MTB lids. 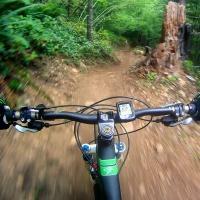 Anyone else prefer to buy a road helmet and use it for MTB, or for both? I’ve also tried wearing an MTB helmet on the road, but I found the visor blocked my vision too much based on my position on the bike. I have used a Giro Atmos for all my rides ( road, cyclocross, and mountain ) for years and have liked it but I just ( like 2 days ago ) picked up the Troy Lee Designs A2 because after trying it on in the shop found it to be very comfortable. Will follow up if I decide to switch back for my mountain stuff. Years ago I used road helmets when I was more XC race oriented. Then I had an eight year break from MTB riding, and, when I resumed offroad riding 4 years ago, I started using MTB helmets with visors. The visor comes in handy at times to block the sun and sometimes will deflect small tree branches as well. I was with you on the lycra shorts until I started ripping it on falls, now I’ve got some nice light weight baggies.